We are now on to the Exhaust System. This is a common modification our customers do, both from a performance, aesthetic and acoustic perspective. A quick look at the stock exhaust, it is 65mm (~2.5") to 55mm (~2.15") and has 2 small boxes right at the back, but is still pretty quiet as the DPF is also a large silencer. It also has twin 3" Rolled Slash Cut Tips as standard. The standard grade of stainless is very poor and we see a lot of cars with rusty exhausts. You can see there is no soot in the tailpipes as the DPF is still in place and is doing its job well. 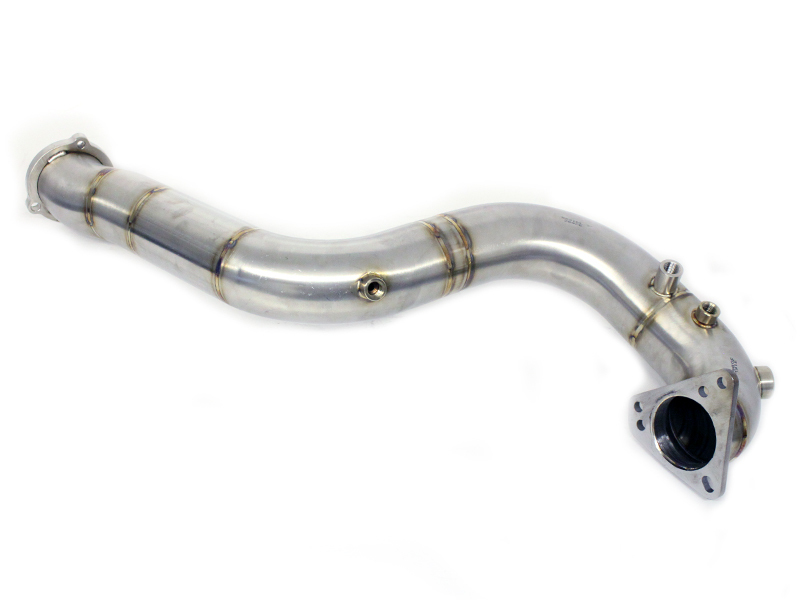 The components for the new exhaust are all 316 Stainless steel, as used in the Oil and Gas industry. Slightly overspec considering most companies will use 304. Whilst it is a great material for making exhausts, we have to consider when making an exhaust the amount of expansion it will see, in most cases 10 - 15mm when warm. Our Ibiza Track Car can expand by up to 1" (25mm) during a 45 minute race. 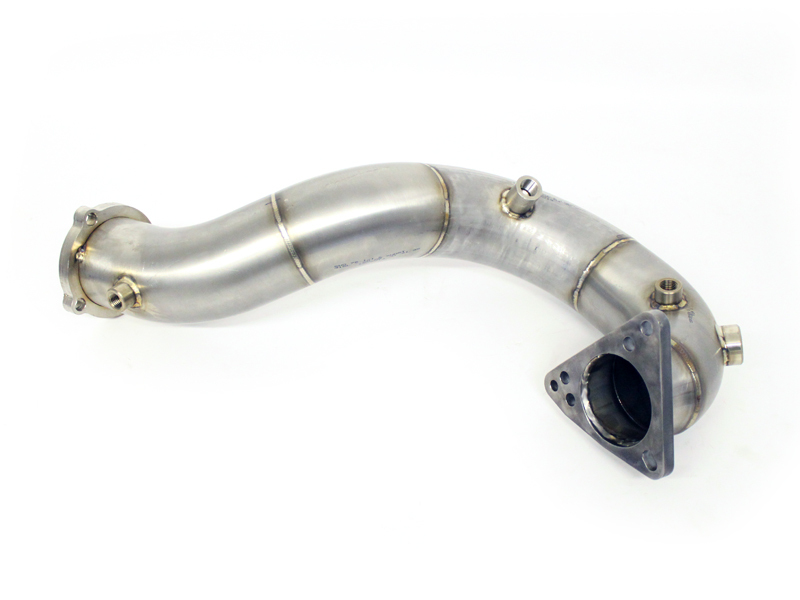 All our downpipes and exhausts are TIG welded using the best quality materials by our master craftsmen, other companies are happy to MIG weld, some even use mild steel wire that will rust away in no time. So with the DPF in place, there is a noticeable increase of noise, but its still not very loud. This system is 3" and reduces down to 2.5" with 4" Slash Cut Inverted Tips. We have also fitted 1 large silencer before it splits and then 2 small ones behind the tailpipes. To get some more noise we need to remove the DPF. The DPF Delete Downpipe for our A5 was the 'short' version, some come with a longer pipe but price and fitment is the same.